Apple is all set to launch the much awaited next generation of iPhones in an official event today and we already have heard a number of rumors and leaks about these upcoming smartphones from Apple. A recent leak now has confirmed that the Cupertino giant will launch three iPhones this year that will be named as iPhone XS, XS Max, and iPhone Xr. 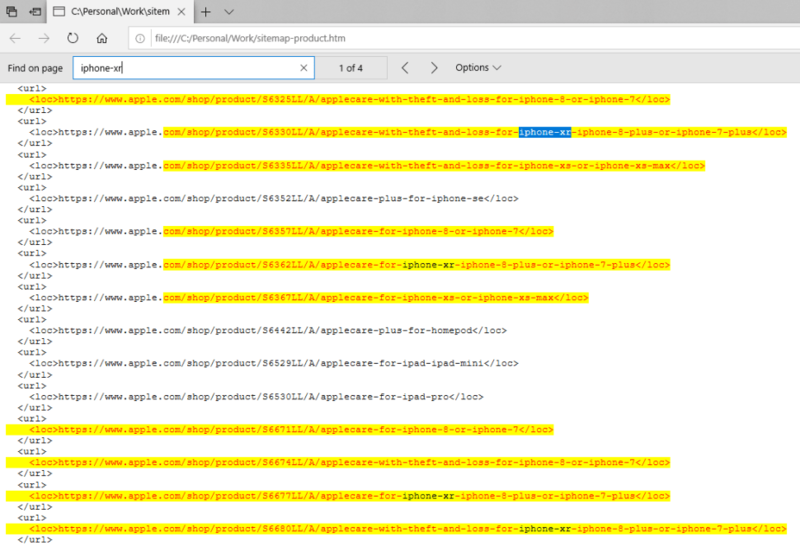 The leak came from the sitemaps that were available through the official Apple website and has not only confirmed the devices names but also has confirmed the storage variants of the upcoming iPhones. All the new iPhones are expected to launch with notch display like the iPhone X. The sitemap has also confirmed that the new iPhones will have multiple otter box cases including silicone and leather cases with Black, White, Midnight Blue, Product Red, Stone, Taupe, Saddle Brown colors. According to the leaks, the 6.5-inch. iPhone will be called the iPhone XS and will be available in various colors and with up to 512GB of inbuilt storage options. 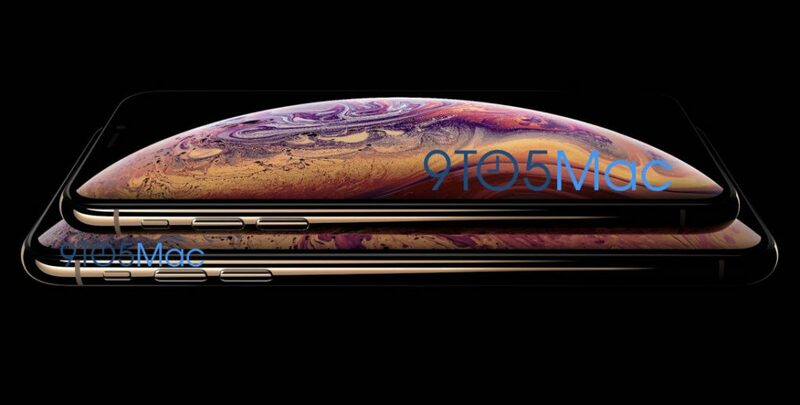 The 6.5-inch iPhone will be launched as iPhone XS Max and it will also be available with up to 512GB of inbuilt storage variants and space gray, silver and gold color options. Lastly, the 5.8-inch iPhone will be launched as iPhone XR it will also be available with up to 512GB of inbuilt storage variants and space gray, silver and gold color options. This is the first time we will see an iPhone with 512GB of inbuilt storage capacity. However, it's still not confirmed if all the new iPhones will be available with dual-SIM variants or not and in what regions. The company is also expected to launch the new Apple Watch. 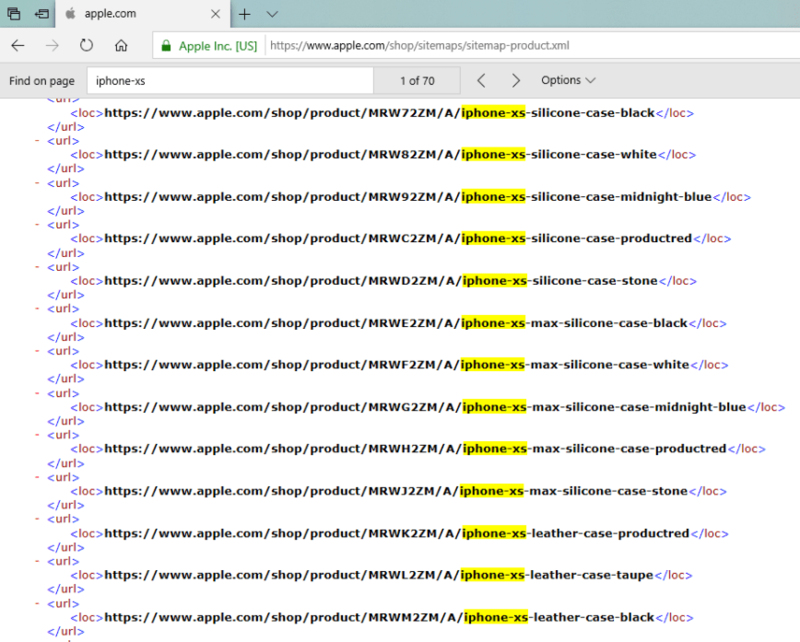 The sitemap from the official website of Apple confirms that the new Apple watch will be called as Apple Watch 4. It will be available in Silver, Space Gray, and Gold color options and will be available with different variants including 40mm and 44mm sizes with GPS and GPS + Cellular configurations. According to the rumors, the new LCD iPhone is expected to be priced around $699 or $749, the 6.5-inch. iPhone XS Max will be priced at around $999 while the iPhone XS is expected to be priced at around $899 for the 64GB inbuilt storage variant. We have to wait now for the official event that is just a couple of hours away. Stay tuned for more details about the new devices and news from the official event.